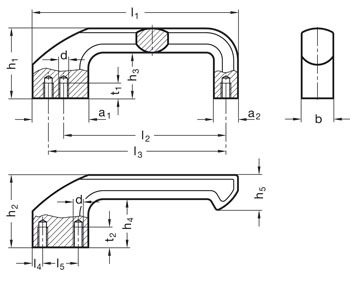 Open-end or closed-end type handles are mainly used in applications requiring a sturdy and rugged grip. A special characteristic is the thumb rest pad on the front leg. 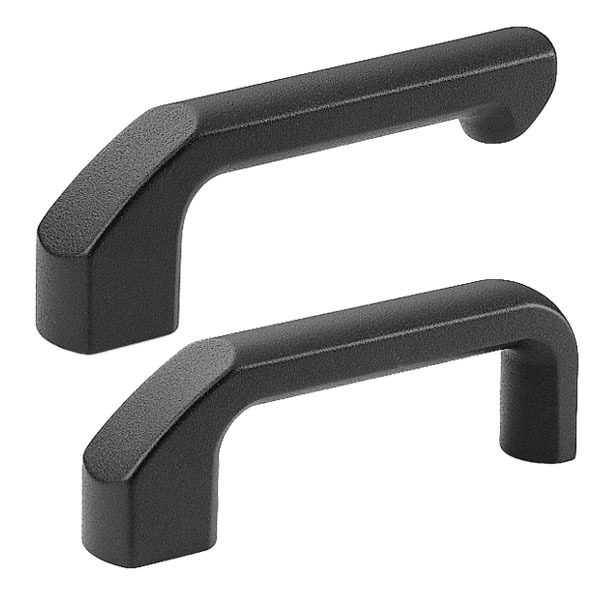 Because of the dual mounting holes on the open-end handle, the handle is secured tightly into position after installation. Various metric size fasteners and kit packaging available upon request.